Living in a big city has a lot of advantages, but sometimes all of that is not enough. In pursuit of more peaceful life, people decide to move to the countryside. However, as much as they want to, people should know that not everyone is cut out for living in a countryside. So before making such decision, ask yourself whether living in a country is really for you. – Does living in a countryside suits your personality? If you are sociable and communicative person, you may find a country lifestyle a bit boring, so you need to make sure that a lack of entertainment won’t affect you negatively. – What is the main reason for the move? Is it retirement, downsizing, change of pace, personal dissatisfaction, desire to be closer to nature? What do you expect to obtain? 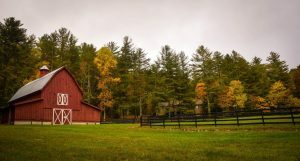 Will moving to the country make you happy? Is that what you really need? – Will you be able to handle loneliness, isolation, lack of entertainment option, less job opportunities, commute? – Inspect thoroughly the rural area you want to move to. No matter how impressed you are, do not decide to move after just one visit. – Make sure you know how the country looks like during each season. Picturesque rural scenery may seem very appealing during the summer, but is it so in December? – Are you willing to maintain your new property? – Is the area properly maintained? Were there some natural disasters during the last couple of years? – How will you organize finances? Are you going to keep your current job? Are you interested in working from home? – If you decide to keep your current job, will you have to commute on a daily basis? On the other hand, if you decide to work from home, will you need your office space? Is there a possibility to install all necessary services like high speed internet? – Can you get proper healthcare in the country? – How far is the nearest grocery shop, shopping mall or restaurant? Will you get used to the fact that you will have less access to some city amenities? – Are there good schools nearby? – If you are young and ambitious and also want to pursue your career, moving to the country probably won’t help you gain the professional experience you want. – You could use some peace and quiet after the big city hustle and noise. – If you were hesitant whether to have a pet when you were in a small apartment, now that you have moved to the country it is time to get one. – Reduced cost of living. You may be able to save some money on your monthly expenses, since living in the country is more affordable. – Living in the country can be quite an adventure. You can enjoy breathtaking landscapes, walking in the forest and spending more time in nature. – With clean air and water, countries are less polluted than big cities. – Lower crime rate. You and your property are safe, and luckily you have neighbors who will keep an eye on your property while you are absent. Having these guidelines in mind you can decide whether living in the country is really for you. In case you decide to move eventually, hire professional movers to assist you. Their professional experience will lead you through the relocation process. Ensure a smooth move by hiring trustworthy movers who will take care of all moving-related tasks for you. Is it time to move to a new city? Are you looking forward to moving to the suburbs?